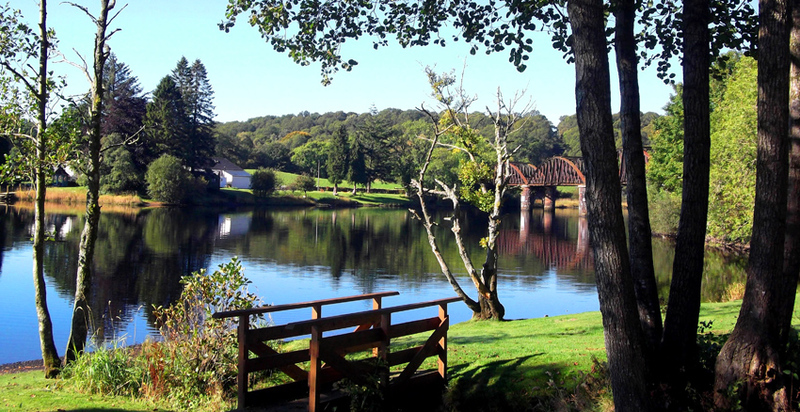 Loch Ken Holiday Park is a rural camping and caravan park set in the beautiful Galloway Hills on the shores of Loch Ken. This is a peaceful haven in an area of outstanding beauty with a wealth of wildlife such as red squirrels, wild ducks, swans and red kites which are regular inhabitants of the park. The camp site occupies ten acres on the boundary of the Bryson family, six hundred acre stock farm. Adjacent to the park are the RSPB bird reservation (Ken Dee Marshes), the “Galloway Kite Trail” and the Galloway Forest Park. We are proud to have been recognized for our commitment through achieving the Gold award for the David Bellamy Conservation Scheme every year since 2002. Loch Ken Holiday Park is committed to leading its business in minimising the impact of its activities on the environment. We are constantly looking for ideas to improve our practises and activities in a green way. We are committed to raising awareness of environmental issues with our staff, caravan owners and visitors to the park. We are dedicated in providing our customers with a holiday of high quality whilst supporting our local community and preserving our beautiful surroundings for the prosperity and enjoyment of future generations. Waste management is the collection, transport, processing or disposal, managing and monitoring of waste materials. The term usually relates to materials produced by human activity, and the process is generally undertaken to reduce their effect on health, the environment or aesthetics. Waste management focuses on delaying the rate of consumption of natural resources. When we clean the toilet blocks, we keep the almost empty toilet rolls to reuse them in the toilet blocks in winter when the park is not busy. Staffs refill the cleaning bottles of detergents instead of buying new ones. Staffs recycle ink cartridges and batteries by bringing them to the nearest recycling centre for reuse. We have a recycling area on site for glass (green, brown and clear), cardboard and cans, so the materials from which the items are made can be reprocessed into new products. The nearest recycling centre for plastic and other items is situated on the road towards Castle Douglas. Customers staying in our holiday homes will find a recycling note in the welcome pack to try and encourage them to recycle to reduce the amount of waste produced. Staffs reuse scratch paper sheets instead of rubbishing them. When we clean our holiday homes, we keep the almost empty toilet rolls and use them in the staff toilets instead of rubbishing them. There is an exchange book shelf in the shop, so people can swap their books for free instead of throwing them away or buying new ones. That reduces the amount of book and paper produced. Energy conservation refers to efforts made to reduce energy consumption. Energy conservation can result in increased financial capital, environmental quality, national security, personal security, and human comfort. A water conservation measure is an action, behavioural change, device, technology, or improved design or process implemented to reduce the usage of water and recycling of waste water. The toilets in toilet blocks and static vans have a half flush button. The lighting in toilet cubicles has movement sensors. Lights in our toilet blocks are light detecting devices. We use low energy light bulbs throughout the park: shop, toilet blocks, and caravans. All street lights are light detecting devices. Lights outside the shop are on a timer. All the showers have push buttons to save water. Operate a thoughtful purchasing by selecting wherever practical, materials and services which are less damaging to the environment and by being thoughtful and mindful of what you’re purchasing, where it comes from, and who’s behind it. We buy in bulk (supply for shop, toilet paper…) so we can refill empty containers, and avoid too many packaging. We use eco-friendly detergents (floor washing liquid). We ask our customers if they need a carry bag, we don’t give them away if not needed. We use paper bags for packing the sweeties bought instead of plastic bags, because they are biodegradable. We reuse the shopping bags we get from the supermarket for our customers who need a carry bag. We buy from local producers and suppliers as much as possible to reduce the carbon footprint (bakery, dairy products). We promote local businesses such as restaurants & pubs in our information room. We buy FSC products (independent, non-governmental, not for profit organization established to promote the responsible management of the world’s forest) such as paper towel. Road transport is one of the biggest sources of pollution contributing to poor air quality, climate change, congestion and noise disturbance. We actively promote walking, cycling and public transport to reduce the impact of transport operations on the environment. The local bus timetables are displayed in the information room. We employ staffs that live within the local area. We actively encourage our staff to walk around the park. We provide information about local walking and cycling trails. Natural heritage is the legacy of natural objects and intangible attributes encompassing the countryside and natural environment, including flora and fauna. Cultural heritage is the legacy of physical artefacts (cultural property) and intangible attributes of a group or society that are inherited from past generations, maintained in the present and bestowed for the benefit of future generations. 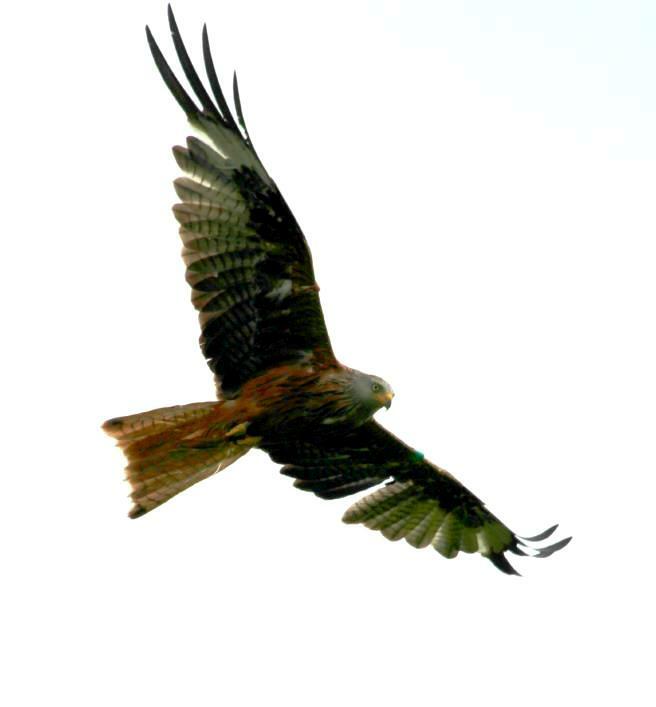 We display information and photos about wildlife on the park (squirrels, red kite, birds…). We rent non-motorised boats, canoes, pedalos to avoid environmental and noise pollution. We use locally sourced timber for constructions, local stone (Dalbeattie granite, Parton Quarry Stone), local tradesman. We use bark instead of spraying to discourage weed grows. There are number of bird boxes around the park, providing nesting or feeding areas. We leave wood, branches and tree stumps to rot for animals to make their habitat. We maintain our drystane dykes, as well as providing shelter these also provide a habitat for insects and mammals. We have an environmental planting plan for the park, to encourage flora and fauna. We leave long grass to encourage native species of insects for breeding and their natural habitat. We provide a natural corridor between the drystane dyke and the fence. This corridor allows a safe passage of fauna from the loch side to the railway embankment. There is a community garden to encourage our customers to plant natural species and wildflowers. We feed birds in the cold winter months. We minimize the use of chemicals for weed control. We limit the number of rod per fisherman. A catch and release policy has been adopted to this park. Our Loch Ken Holiday Hunt encourages children to understand local natural and cultural heritage. We have created a ‘Communal Herb Garden’ in winter 2012 to offer our visitors a great variety of herbs to choose from, to gather and to enjoy. Campers are invited to help themselves to savoury or aromatic herbs that can be used to add flavour to food, to make teas or remedies. An interpretation oak board displays pictures of the different types of herbs present in the herb garden: parsley, thyme, rosemary, chives, sage, common mint, coriander, lemon balm and basil, with an explanation of what to pick for what purpose. The 'Parton Heritage Trail' was constructed in 2013 on behalf of Parton Community Council and in collaboration with landowners, including Mr M. Bryson from Boreland of Parton and Loch Ken Holiday Park who allowed access and path construction across his farmland to support his local community. The Trail was created with the aim of providing a safe walking trail for the local community as well as visitors to the area, to enable them to enjoy its natural beauty and wildlife and to take in historic sites that surround Parton. James Clerk Maxwell (1831 - 1879) was a Scottish mathematical physicist, acknowledged by Einstein as his inspiration. His remains were brought back to the Galloway and buried beside those of his parents in the ruins of the old Kirk at Parton. His connections are part of the 'Parton Heritage Trail'. The route begins opposite of our park, passes Lochside and cuts through Glenlaggan woods, overlooking Loch Ken. The path takes walkers through farms and woodlands and along the way there are two viewpoints - the first one is part of the Galloway Kite Trail - where interpretation boards have been located. 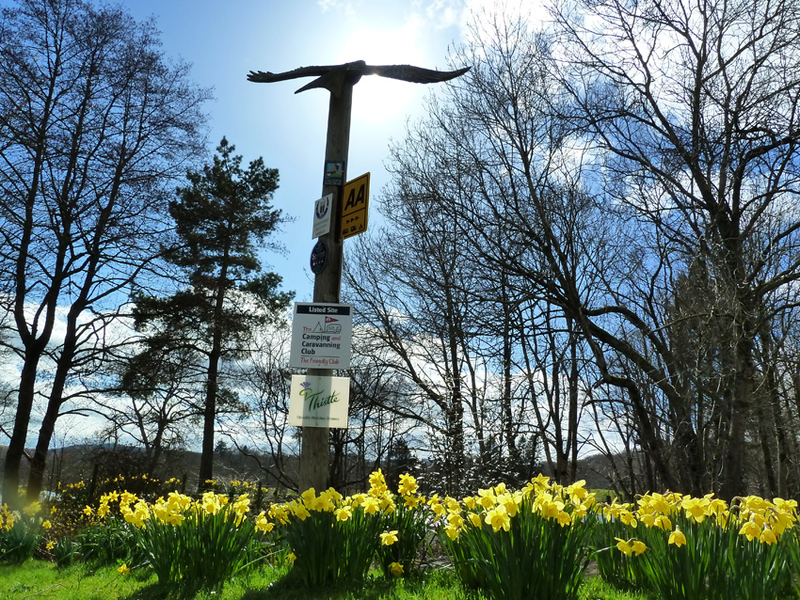 Walkers will be rewarded with fine panoramic views of Loch Ken and River Dee and the surrounding countryside at the two viewpoints as well as the opportunity to glimpse some of the area's Red Kite and Red Squirrel populations. A map of the route together with information about flora and fauna is located at the start of the Trail. Over the course of the summer the adult population of Parton increases from approximately 150 to 700 due to the presence of our holiday park. Although the village is rich in sites of historic and architectural interest and beauty, access to some of them is poor and existing routes present visitors with significant and off-putting access difficulties. The intention of the 'Parton Heritage Trail' is therefore to provide tourists and locals alike with a safe, off-road walking route which encourages walking and physical activity, which can be used by local schools for walks and nature study and can eventually be developed into a network of paths all around Loch Ken. Parton Community Council is hoping the route can be expanded in years to come. Report leaky taps and showers to staff. Use phosphate free washing detergents (detergents labelled NP) and flush away wastewater at least 30 meters from creeks or waterways. Do not pour oils and fatty liquids down the sink or in waterways. Use chemicals that are formaldehyde free in your RV waste holding tank. Conserve water and always use a plug in the sink or bucket at campsites when washing dishes. Take shorter showers (4 minutes or less). Don’t leave the tap running unnecessarily. Don’t litter and dispose of waste properly– even small items such as bread tags, bottle tops and cigarette butts really choke up the environment. Think before you buy - choose products that have less packaging, are made from recycled materials, can be recycled and do not contain harmful chemicals. Always dispose of holding tank waste in designated dump points. Use your own reusable shopping bags and refuse plastic bags. Recycle all glass and plastic bottles, metal tins, paper and cardboard. Only fill the kettle with as much water as you need. Put on a jumper before you turn on the heater. Ride a bike, walk or use the local transport to go to the shops and local attractions. Turn off all lights and power points when you leave the caravan and turn off all appliances at the power point when not in use. If you need to use the air conditioner or heater, close all doors and windows and remember to turn off when leaving. Support local charities and community organisations. Visit farmers markets, farm shops, village stores, pubs and restaurants. Shop at local businesses and buy local produce where possible. Learn about the history and culture of the area. Use public transport, walk or ride when out and about to avoid producing emissions. Be considerate of other users of the countryside. When exploring around our area, please be aware of natural habitats for flora and fauna. Please close all field and farm gates behind you. Please tidy up fishing lines and don’t live them unattended. As supporters of the David Bellamy conservation Scheme, in 2013 we were awarded a Gold award for our contribution to the protection of the environment. David Bellamy Conservation Awards are given to sites which can demonstrate policies showing active concern for the environment including the protection of plant and animal habitats, the efficient use of energy and recycling. 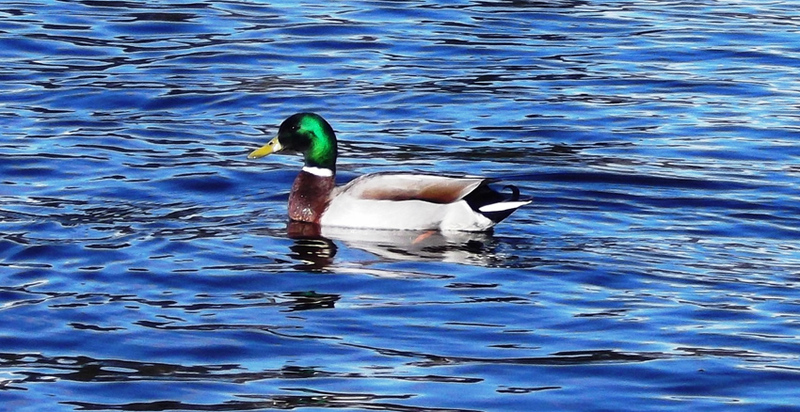 We are dedicated to conserving the flora and fauna, providing habitats for the wildlife at Loch Ken Holiday Park, and will continue to do so into the future. We have bird boxes around the holiday park, providing nesting feeding areas. The park is always full of colourful flowers which attract many varieties of butterflies, ladybirds and other insects. 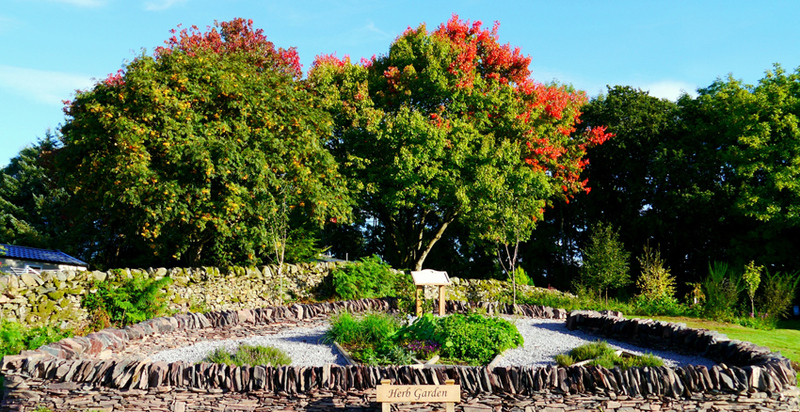 Whilst at Loch Ken Holiday Park, you are able to take a stroll around the butterfly garden and wild flower meadow, spotting many varieties of wild flowers and wildlife along the way.